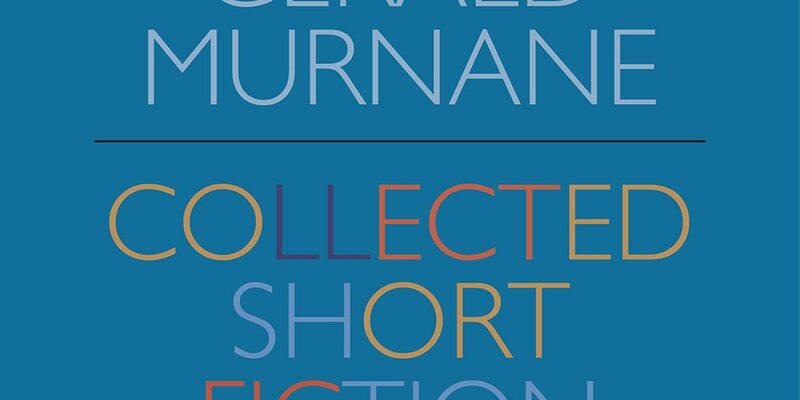 The following text is an excerpt from Collected Short Fiction, Gerald Murnane, Giramondo Publishing, Sydney, 2018. 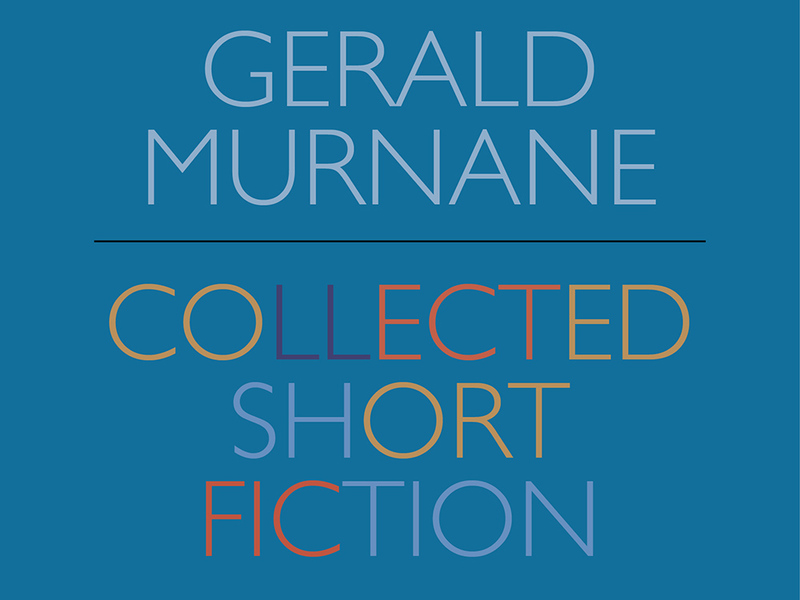 Copyright © Gerald Murnane, 2018. 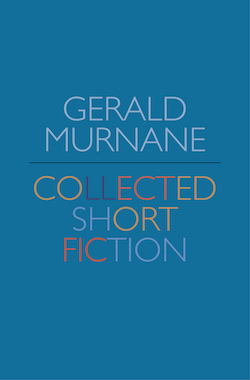 Reproduced by permission of Giramondo Publishing. 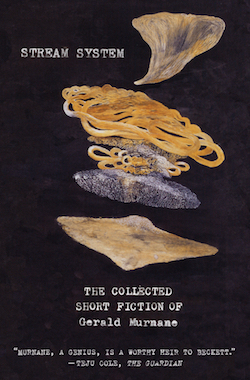 Click here to purchase Collected Short Fiction directly from Giramondo Publishing (Australia). Click here to purchase Stream System directly from Farrar, Straus and Giroux (United States). We are six writers — three men and three women — who have undertaken to write and to show our writing to one another for seven days and six nights up here among the sounds of birds and the wind in the treetops. Five of us, so I believe, have had fiction published in magazines or anthologies. Myself, I am a poet (sparingly published) who is trying to break into prose. Our workshop is not meant to produce immediately a body of publishable writing. Our meeting here on this hill is meant to put us in touch with the deep sources of fiction. Last night — Friday night — each of us had to write our first piece and then hand it to the person in charge of the session. This morning at breakfast each of us was given a copy of each of the five pieces written by our fellow writers. In most writers’ workshops the members sit around discussing their work; they talk about themes and symbols and meaning and such matters. The six of us do none of this. Ours is a Waldo workshop. The rules were devised by Frances Da Pavia and Patrick McLear, a husband-and-wife team of writers in the USA. In 1949 these two began a series of workshops at their summer house in Waldo County, Maine. Frances Da Pavia and Patrick McLear have both since died but they bequeathed their estates, including the house in Maine, to the Waldo Fiction Foundation, which continues to arrange annual workshops and to keep alive the Waldo theory of fiction in the USA and in other countries. The rules for the Waldo workshops have hardly been changed since the first summer when the co-founders and four disciples shut themselves away for a week on a rocky peninsula looking across the water to Islesboro Island. As far as possible the writers have to be strangers to one another. (The co-founders were far from being husband and wife in the days of their first workshops, and after their marriage they were never again together as writers in the stone house.) Everyone is compelled to take a pen-name at the first session and to change that pen-name each day. But the most important rule is the absolute ban on speech. In this matter a Waldo workshop is more strict than a Trappist monastery. Trappist monks are at least allowed to use sign language, but writers at a Waldo workshop are not allowed to communicate by any means other than the writing of prose fiction. Waldo writers may exchange any number of messages during their week together, but every message must be encoded in prose fiction. No other sort of message is permitted. Writers may not even allow such a message to reach them inadvertently: if one writer happens to intercept another’s glance, the two must go at once to their separate writing-tables and write for each other a piece of fiction many times more elaborate and subtle than whatever lay behind either glance or was read from it. Waldo writers are not even permitted to make the sorts of comment that writers in conventional workshops make about each other’s work. Each morning in this house each one of us will pore over the latest batch of fiction, looking for scattered traces of our own stories in the manifold pattern of Waldo. To preserve the ideal of unbroken silence, the Waldo manual recommends a certain gait for strolling around the house and grounds and a certain posture for sitting at the dining-table or on the veranda. The eyes are kept lowered; each stride is somewhat hesitant; arms and hands are guarded in their movements for fear a hand might brush a foreign sleeve or, worse still, a naked wrist or finger. House and grounds, naturally, are required to be remote and secluded. The co-founders’ house, in the one photograph that I happen to have seen, seems to belong in an Andrew Wyeth painting. Every breach of the vow of silence must be reported to the writer-in-charge. Even so seemingly slight a thing as sighing within earshot of another person is a reportable offence, and the writer who catches a hint of meaning in the sound of someone’s breath escaping is therefore expected not only to write before long about a fictional sigher and sigh but to draft a brief informer’s report. Likewise, the sight of a mouth being drawn deliberately down at the corners or even a distant view of a head shaking slowly from side to side or of a pair of hands being pressed against a face — any of these can oblige a writer to amend the work-in-progress so that it includes a version of the latest offence against Waldo and of the report of the offence and any other documents to do with it. A first offender against the Great Silence is punished by being sent to his or her room to transcribe passages from writers whose way of life was more or less solitary: Kafka, Emily Dickinson, Giacomo Leopardi, Edwin Arlington Robinson, Michel de Ghelderode, A.E. Housman, Thomas Merton, Gerald Basil Edwards, C.W. Killeaton… The Waldo Fiction Foundation keeps a register of all those who for at least five years of their lives wrote or took notes but talked to no friend or lover. A second offence brings immediate expulsion from the workshop. The expulsion is never announced to the group, but suddenly among the buzzings and clickings of insects and the chirrups of birds on a drowsy afternoon a motor-car engine starts up, and perhaps you notice an hour later that a certain pair of creaking shoes are no longer heard in the corridors; or perhaps, standing at a certain point on the veranda, you see the same trail of ants flowing up and down the yellowish stone and the same tiny spider unmoving in its cave of crumbled mortar but you no longer hear the faint rattling of a typewriter through the wall; or later at the dinner table a bread roll lies unbroken by a pair of hands that you formerly watched from under your eyebrows. Does anyone reading this want to ask why the workshop should expel a person whose presence had made the fiction of at least one writer daily more bulky and more complex? Anyone who could ask this question has not even begun to understand what I have written so far. But Waldo can answer for me. What might have seemed to the objector a grave objection earns a sentence in the manual. Just the one room becoming empty will make the echo of the fiction of the house more lingering still. No one questions the rules concerning silence, but newcomers to Waldo sometimes wonder why no rule forbids a writer in a workshop from sending urgent letters or manifestoes or apologias after someone who has just been expelled. How can the purpose of the workshop be served, the questioner asks, if the bereft writer, instead of working at fiction, drafts long addresses to someone who has seemed to undermine the basic principles of Waldo? A little thought usually reassures the doubter. The writer in a workshop has to deliver each day to the writer-in-charge not only the finished drafts of fiction but any earlier drafts or page of notes or scribble and certainly any letter or draft of a letter written that day. No one may send out from a Waldo workshop any letter or note or any other communication without first submitting it to the writer-in-charge. In short, the writer sending messages after an expelled fellow-writer may be writing to no one. Even if Waldo, in the person of the writer-in-charge, actually forwards the letters, there is no obligation to reveal to the person who wrote them the true name, let alone the address, of the person they were sent to. And the ritual bonfire at the end of every workshop is not just for all the writing done during the week but for all of Waldo’s records — every scrap of evidence that might otherwise be adduced some day to prove that this or that writer once, under half a dozen pseudonyms, learned the secret of true fiction from an eccentric American sect. So, the writer who spends the last days of a workshop trying to reach someone who once or twice glanced or stared in a certain way before being expelled — that writer will usually understand in time that no letters may have been forwarded or that the letters were forwarded but with the sender identified only by a false name and the address ‘Waldo’. The writer who reaches this understanding will then be grateful to the body of theory and traditions personified as Waldo. For if the writer had had his or her way at first, much precious writing time would have been lost and perhaps the workshop itself abandoned while the two strangers made themselves known to each other in conventional ways. But, thanks to Waldo, the writer stayed on at the workshop and began the first notes or drafts of what would later become a substantial body of fiction. Those novels or novellas or short stories or prose poems would be widely read, but only their author would know what they really were and who they were addressed to. As for that person, the one whose motor car had started up suddenly among the dry sounds of grasshoppers on a hot afternoon, that person would almost certainly never read any of the published fiction. That person would have been won over years earlier by the doctrines of Waldo, and in all the years since the founding of our group not a single apostasy has been recorded. The expelled writer is still one of us, and like every other follower of Waldo he or she would read no fiction by any living author. He or she might buy the latest books and display them all around the house, but no author would be read until that author was dead. No living author would be read because the reader of a living author might be tempted one day to search out the author and to ask some question about the text or about the weather on the day when this or that page was first composed or about a certain year of the author’s life before the first sentence of the text came into being. And to ask such questions would be not just to violate the most sacred tradition of Waldo; it would be as if to say that the old stone house by Penobscot Bay has never existed, that Frances Da Pavia and Patrick McLear are no more substantial than characters in a work of fiction, and that the Waldo theory of fiction — far from having produced some of the finest writers of our day — is itself the invention of a writer: a bit of whimsy dreamed up by a man at a writers’ workshop and handed to the writer-in-charge so that a woman with light-brown hair and a frowning face would learn why the man had not yet told her how impressed he had been by her story of a man who worried about bedrock.